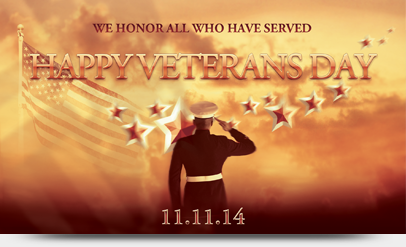 Amstar Cinemas would like to honor all veterans and current military personnel. Thank you for serving our country and protecting our freedom. 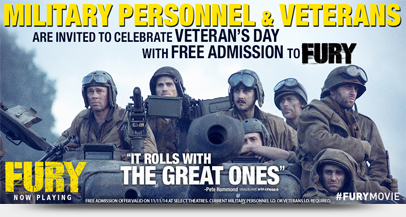 Please enjoy free admission to Fury all day on Veterans Day Tuesday, November 11.Online tickets are not available. Please present your current Military Personnel ID or Veterans ID at the box office for admission. Click on the image above for showtimes and participating locations. Tickets available on first-come, first-serve basis, at the box office for scheduled 11/11 performances only. No vouchers or cash refunds for sold out or cancelled shows. Offer valid at select locations. 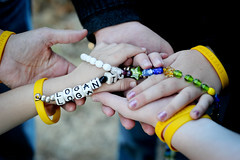 please click the below"unsubscribe" link. If unsuccesful, please reply to the newsletter with UNSUBSCRIBE as the subject. This week's new coupons. If you need them print them right away before they reach their print cap.